Watching the snow fall, makes me want to ammkecookies and I wanted something different, so making Snickerdoodles was the first recipe I took out of me recipe box. These were fun to make. 1) Heat oven to 400 degree’s. 2) In large bowl add all dry ingredients,mix well. 3) Then add the Vanilla, eggs, and butter, mix well. 4) Roll the dough into 1 inch balls. 5) Roll the balls into the cinnamon,sugar mixture,and place 2 inches apart on parchment lined cookie sheets. 6) Using a fork, press down lightly. 7) Place cookies in oven for 8-10 minutes. These were such a good hit,I had to make 2 batches and these are all thats left. What is your favorite cookie to make? 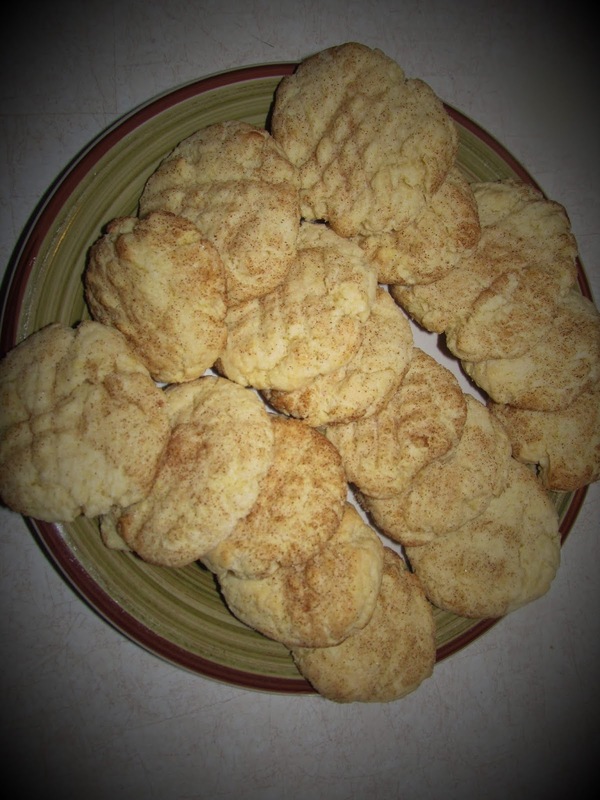 I love to make snickerdoodles! I also make a lot of chocolate chip cookies and oatmeal cookies.